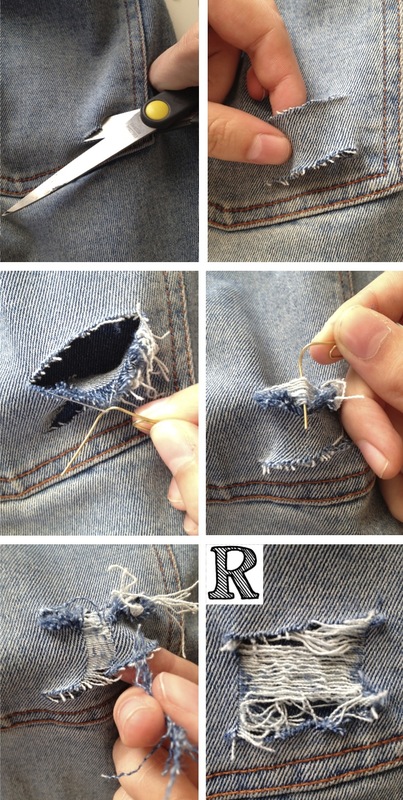 Ripped jeans. They come and they go and right now, probably thanks to the advertising by Columbine wearing this season’s Acne ripped denim, they’re definitely back. 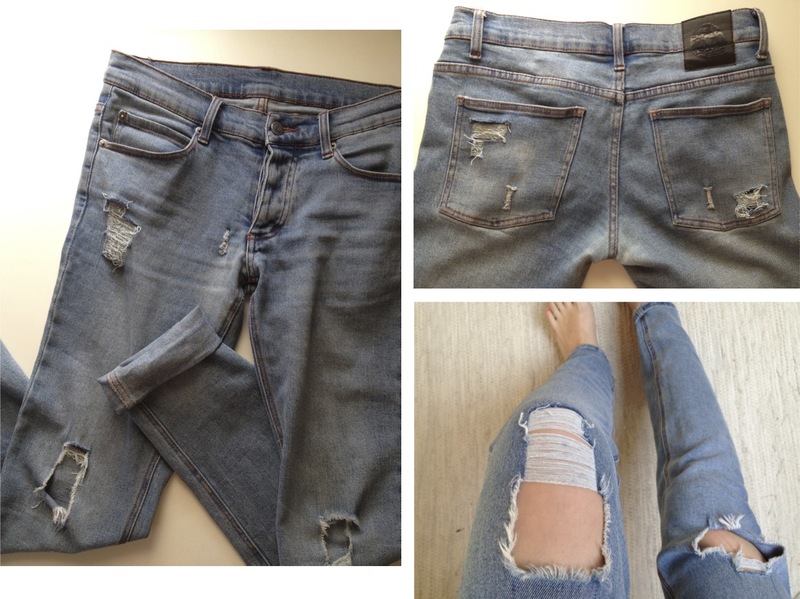 The thing is (and this is no new thought) – why would anybody spend money on torn jeans? I am very much into the distressed look and it is the easiest thing to do yourself. Or at least that’s what I had heard. So, I tried it. 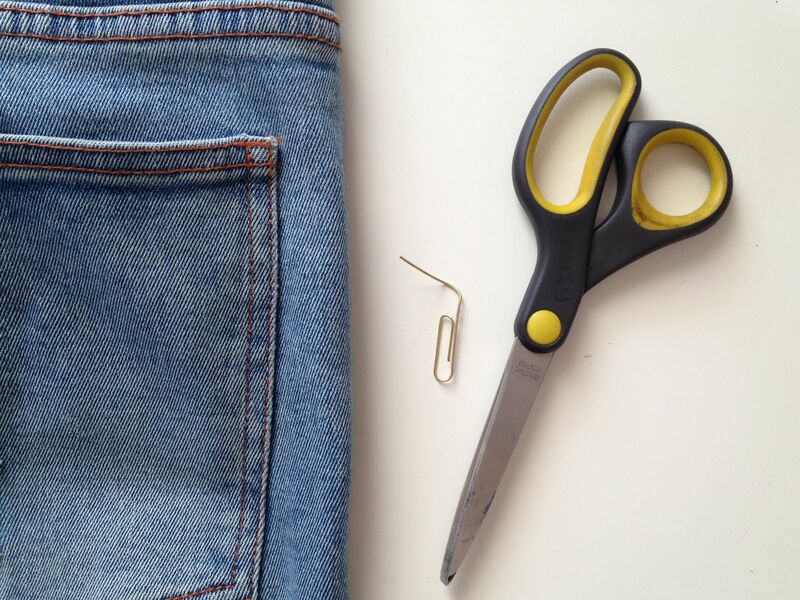 This is what you will need: A denim garment of your choice, a pair of scissors and a paper clip or needle. What you need to do is cut out parallel slits. The space in between the slits will determine the size of the torn section. Using your clip you can start undoing the grid of the fabric by pulling the white horizontal threads. Then, you will remove the darker vertical threads and ta-da! 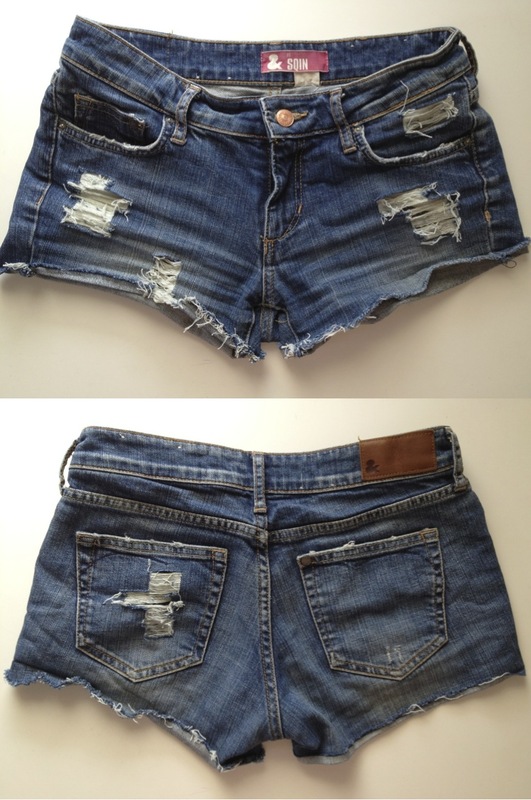 It’s so easy I did the same thing to a pair of shorts..